Transform your data into your greatest asset. Why choose AWS and Morris & Opazo for Big Data? Turn your organization’s data into valuable information with Amazon Web Services. You can transform archived, current, or future application data into an asset to help your business. AWS provides Big Data tools that let your teams be more productive, so it’s easier to try new things, and roll out projects sooner. What can you do with Big Data on AWS with Morris & Opazo? With AWS you can build an entire analytics application to power your business. Scale a Hadoop cluster from zero to thousands of servers within just a few minutes, and then turn it off again when you’re done to save money. AWS allows you to securely store your data in its original form without the need to enforce a predefined schema. Clickstream and weblog analysis tools from AWS let you analyze your web traffic. Improve your visitors’ digital experiences without spending capital upfront on hardware. Build apps that get smarter over time. Visualization tools and wizards from AWS guide you through the process of creating machine learning models without having to learn complex algorithms and technology. Deliver your ad content on the reliable, highly-scalable, and globally available infrastructure provided by the AWS Cloud. Shift from legacy systems to modern Big Data technologies to drive insights that allow you to be more efficient. AWS Big Data Blog Stay up to date with the latest news and best practices in Big Data from AWS. AWS Case Study: MLB Advanced Media Learn how MLB Advanced Media is transforming the way we watch baseball with Big workloads on AWS. Learn how Philips uses AWS to analyze 15PB of patient data. 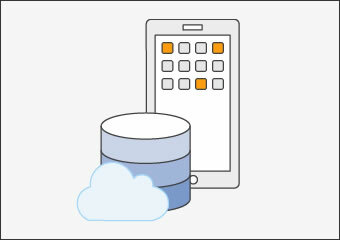 AWS provides many ways for you to learn about how to run Big Data workloads in the cloud.